CODECamp@CSUMB is a 10-day fun, engaging summer camp on the CSUMB campus for middle school students to learn the fundamental concepts and skills of computing and programming in a college setting. CODECamp@CSUMB 2017 enables students to learn both Arduino Prototyping using the Uno R3 and Arduino Programming. Students learn the fundamental programming skills for Arduino using the Arduino development environment, design hardware devices using Arduino Uno R3 and develop cloud connected and controlled Arduino devices, in a collaborative and fun environment. Students also experience the university learning environment and interacting with university professors and college students. Team-based games, collaboration, sports and bike rides are infused throughout the CODE@CSUMB. Students also experience the university learning environment and interacting with university professors and college students. 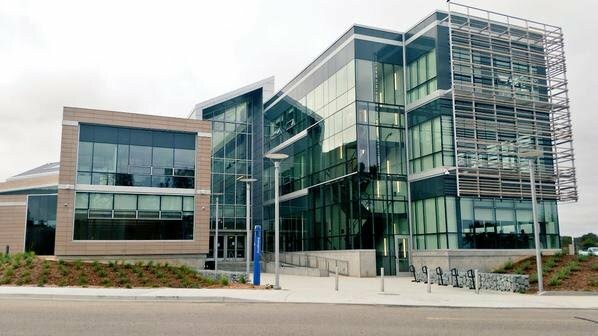 CODECamp@CSUMB is offered by the Institute for Innovation and Economic Development at California State University Monterey Bay. The program is directed by CSUMB's Computer Science professor with outstanding college and high school students as teaching assistants in the university's newest building, the Gambord Business and Information Technology building. CODE Camp is for students 10-13 years of age (entering 6th- 8th grade in Fall 2017) who are interested in learning how to work with Arduino, write code and have fun doing it. Time: 9:00am to 5:00pm (students can arrive beginning at 8:30am and leave by 5:30pm). Day starts with presentations and labs in the morning, followed by hands-on projects after lunch and ends with outdoor activities lead the university's Recreation department. See detailed schedule on the schedule page.